Performance is truly redefined here at Mike Curcio Race Products. We specialize in everything from street & strip engine building to cylinder head repair and are truly a one stop shop for both domestic and imported performance. Whether you are looking for a daily driver to a full blown race motor for your car or truck M.C.R.P has you covered. We are experts in both carbureted and EFI applications as well as both classic and late model styles of engines. All engines are first blueprinted in house to meet the goals set by the customer. Specific parts are then either purchased or manufactured so they will work together flawlessly. Finally they are assembled by the M.C.R.P team and Dyno Tested in house to ensure they are perfectly tuned and ready to run! 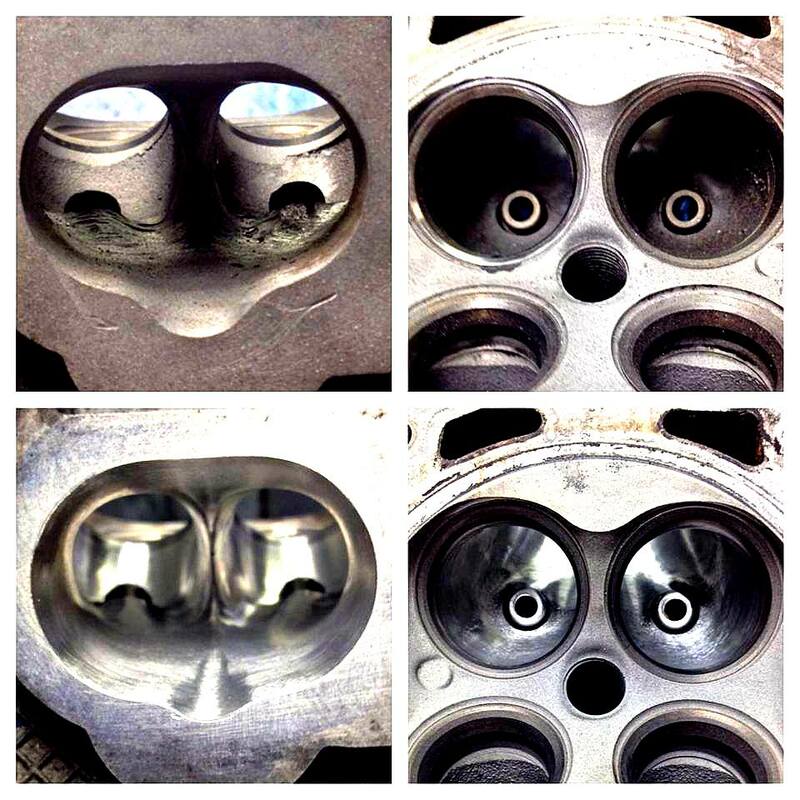 If you want wonders done to your cylinder heads you have found yourself in the right place. The M.C.R.P team has both the tools and skill required to make them flow way more than the stock castings. We are experts at porting and polishing heads but it doesn't end there. M.C.R.P also does cylinder head research and development using our Superflow flow bench and we have the ability to do multi-angle valve jobs. Where we especially shine is cylinder head repair to both cast iron and aluminum heads. Whether you drop a valve or need your heads decked or anything in between come see us. M.C.R.P is also a fully capable exhaust shop; from headers to full exhaust systems we pride ourselves in our full mandrel bent stainless steel exhaust components. Our exhausts all feature TIG welded joints giving them both a clean look as well as providing high quality as the heat soaked portion of metal is greatly reduced with this type of welding. For higher performance applications M.C.R.P also has the skill and ability to hand craft sheet metal Intakes as well as oil pans. We got you covered.